YT Sync - superb template for Joomla 2.5 with support for adaptive design from a professional studio YooTheme, develops original templates Joomla! 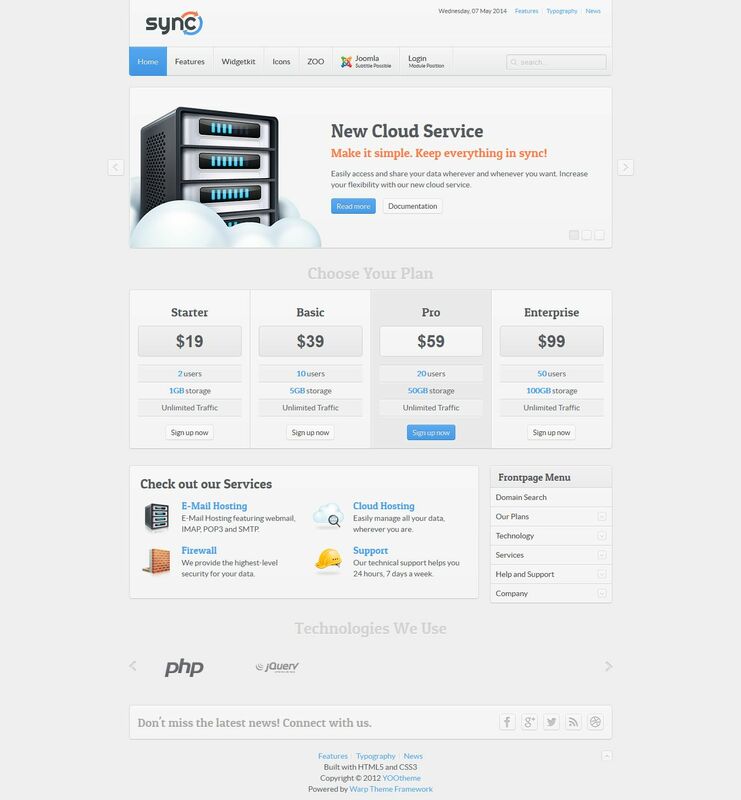 Thanks to the modern business and design layout, this template is perfect for creating websites hosting companies and other corporate or business projects. As an additional feature, the developers added the ability to display prices and services online in an accessible form for users. In the assembly includes two new custom style for the widgets and Slideshow Slideset, which are included in corporate toolset WidgetKit. The template comes with a set of stylish social icons that correspond to the skin. The structure of the template includes 8 preset styles, backgrounds 8, 15 and 6 font styles modular, capable of giving a really unique look to any website. YT Sync is working on an updated version of the Warp Framework, fully supports mobile and tablet devices.